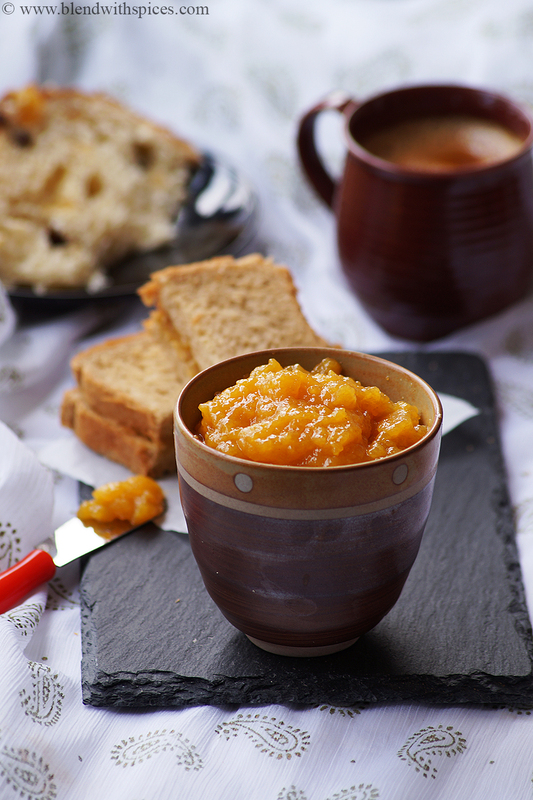 Persimmon Jam Recipe – An easy and delicious Three-Ingredient Jam made with persimmons. Persimmon / Kaki is a delicious Japanese fruit that can be eaten directly or used in many dishes such as smoothies, salads, salsa and jams. 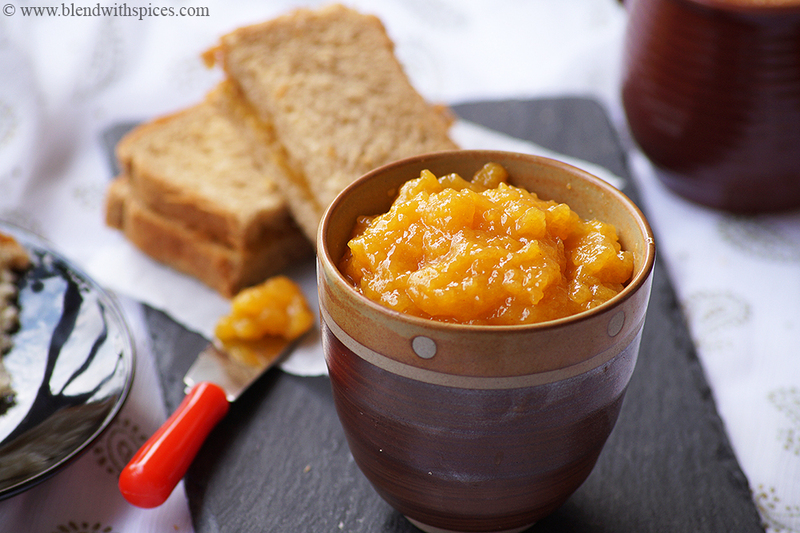 Today’s recipe is a simple homemade jam recipe made with pureed persimmon. 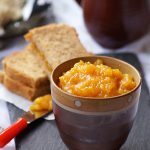 An easy and delicious Three-Ingredient Persimmon Jam Recipe with step by step photos and video. 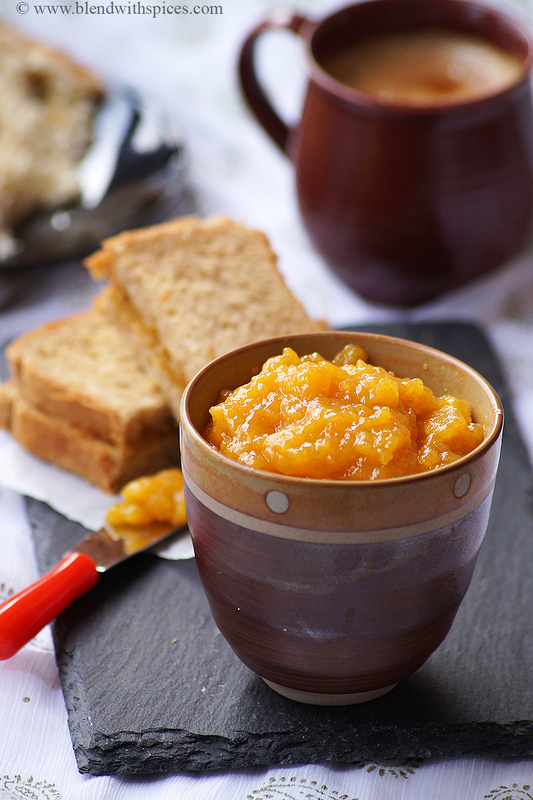 Combine the measured persimmon puree, sugar and lemon juice in a heavy bottomed pan. Mix very well and cook for about 10-15 minutes or till it thickens. When it is done, remove from the flame and let it cool completely. It will thicken more as it cools. Transfer the jam to a jar and store in the refrigerator up to a week. 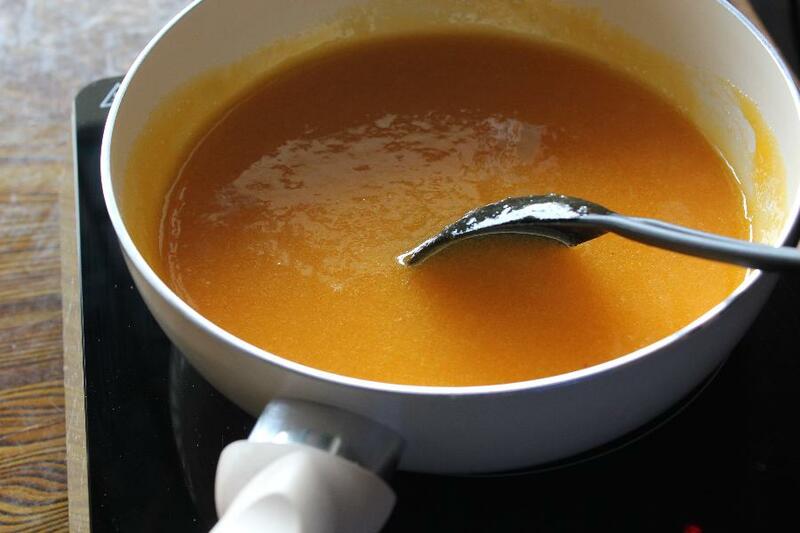 Wash, peel and grind the persimmon into a smooth puree. 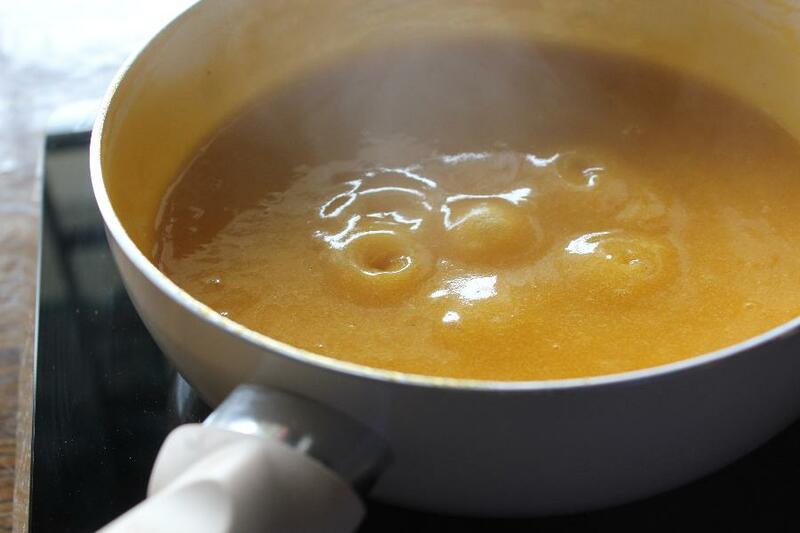 Measure the pureed persimmons and add it to a heavy bottomed pan. 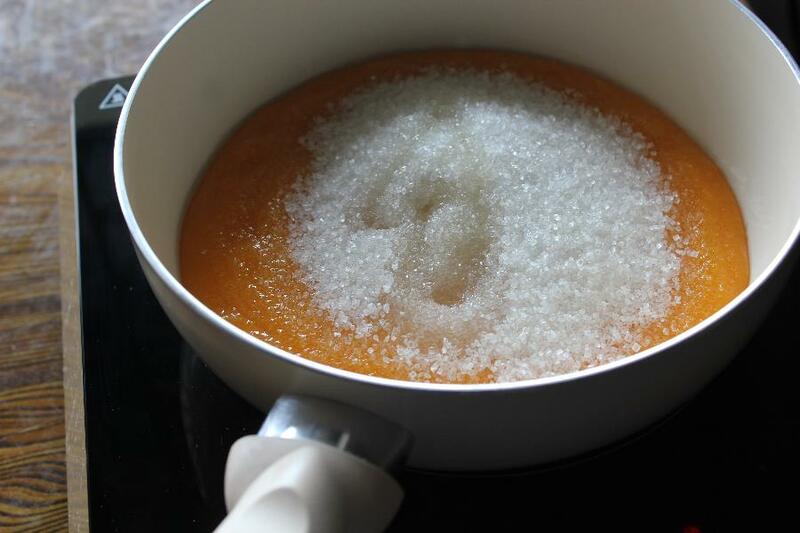 Add the measured sugar and lemon juice to it and combine well. Keep stirring and continue cooking over a medium flame. Cook for about 10-15 minutes or till it thickens. 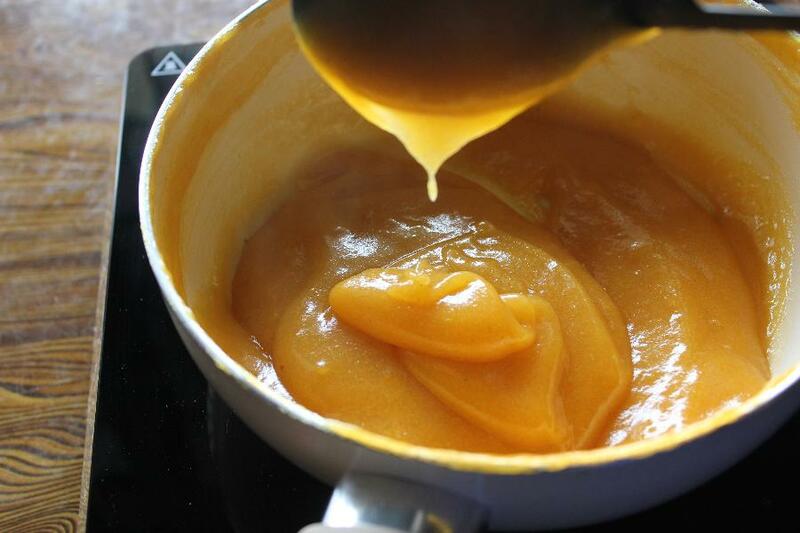 Remember, the jam will thicken more as it cools. When it is done, remove from the flame and allow it to cool completely.